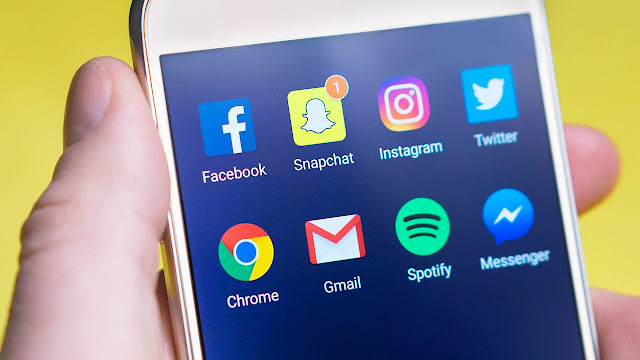 how to create a Snapchat account - Snapchat is one of the instant messaging application that lately are populer in cyberspace. This application is quite unique because it offers interacting with other users throught photos or video without consuming much memory capacity. We can send photos or videos taken directly to our friends via Snapchat. In order to appear more interesting, we can also add captions, images, or filters into the photos and videos that we send it. Even now Snapchat can also crete a story which will be left 24 hours. if it's been over 24 hours, then automatically the story will be deleted automatically. In addition, every story you create can be seen by all friends in Snapchat. For those who do not have it, please download the first application for free in the Play Store or App Store. If the Snapchat app has been downloaded and installed on your smartphone, the first step is to enter the Snapchat app. Please Sign Up a Snapchat account first Way, please open the application then tap the "Sign Up" button to create a new account. After you choose Sign Up it will automatically appear where you have to fill in the name of self. You can type your name in an empty field. Then, you can simply click "Sign UP & Accept." Next please input your date, month and year, here you can directly scrolling to find the date, month, and year. You can do scrolling at the bottom then Snapchat will fill it for you automatically. When you're done, just click "Continue." One thing you need to know, Snapchat can only be used for users aged 13 and over. The next step is to create a username. Like Instagram and Twitter, Snapchat also requires a username in order to distinguish one account from another. So We suggest you to specify a suitable username and that fits you. When you're done, you can click "continue." The next stage is to determine the password. We recommend creating a password that can only be known by you. Try also to create a password that is not too long so you can remember it well. Already satisfied with the password, then you can click "continue." You should now enter an email address. After that click "continue." Now it's time to enter an HP number. Make sure the number of HP you have input is an active number. If it is correct and clear, please click "continue." In the previous step you are prompted to enter an HP number. It is useful to verify via SMS. Well, in this step you will get the verification code via SMS. The code in the SMS you can input at this stage. If so, please click "continue." Here you already have a Snapchat account, For that to use this snapchat account properly and wisely without violating the guidelines snapchat application.